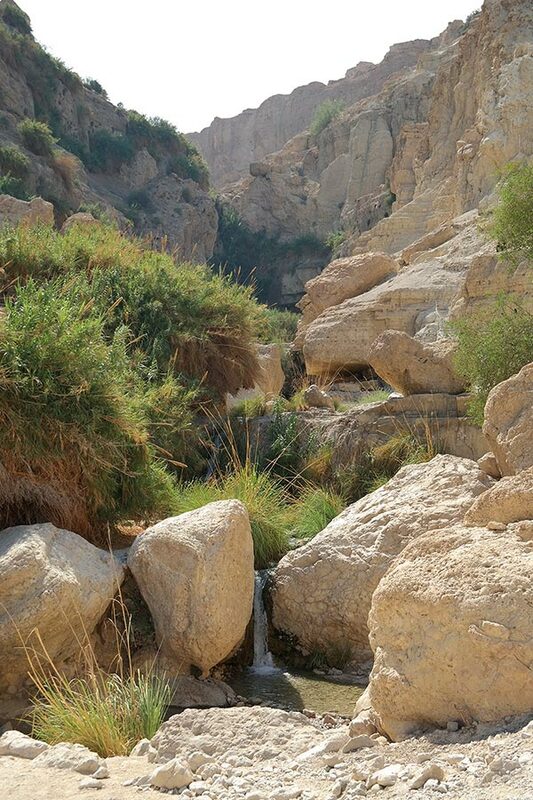 This wasn’t any ordinary hike. 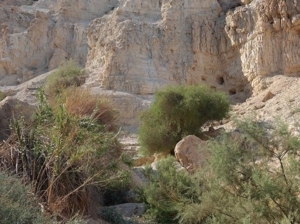 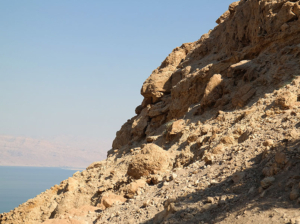 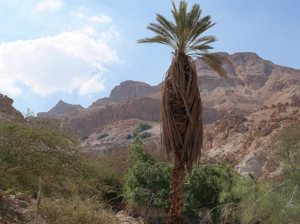 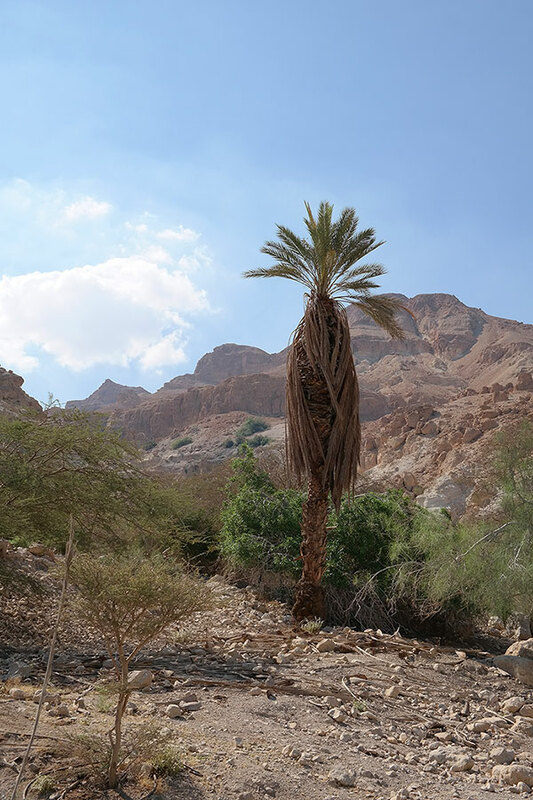 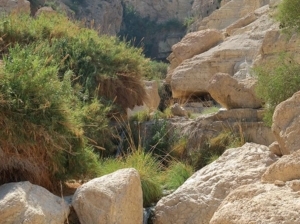 We were 1,300 feet below sea level in a canyon oasis carved out by the Nahal David, a seven-mile trickle of a stream with biblical proportions. 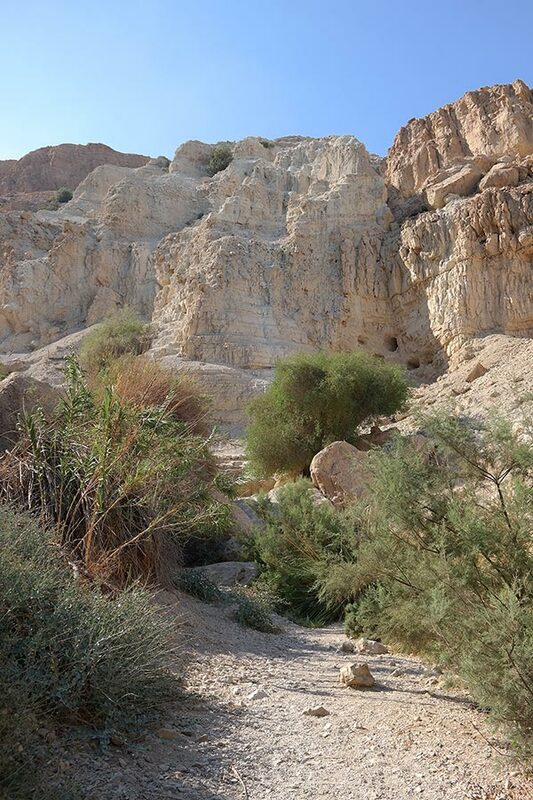 It was here that David sought protection in the Rocks of the Wild Goats from the murderous intentions of King Saul. 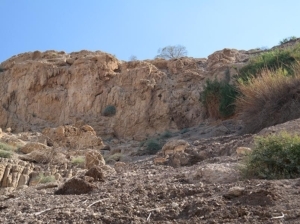 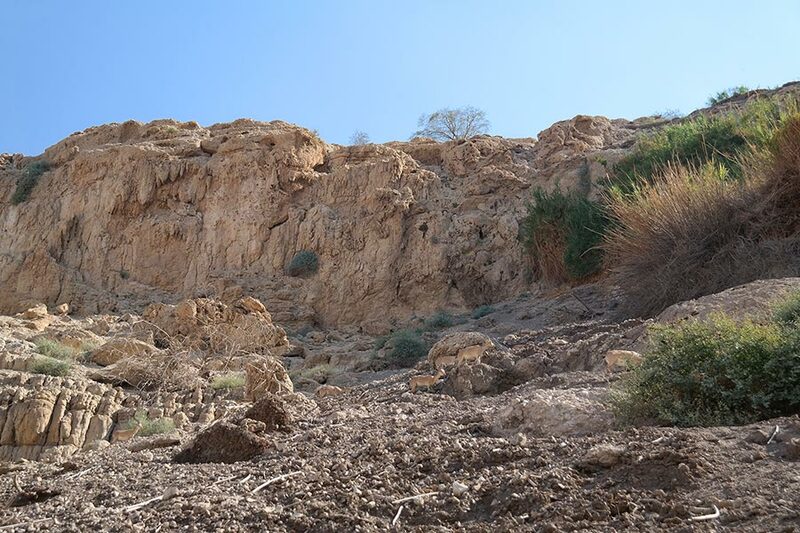 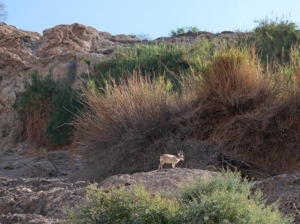 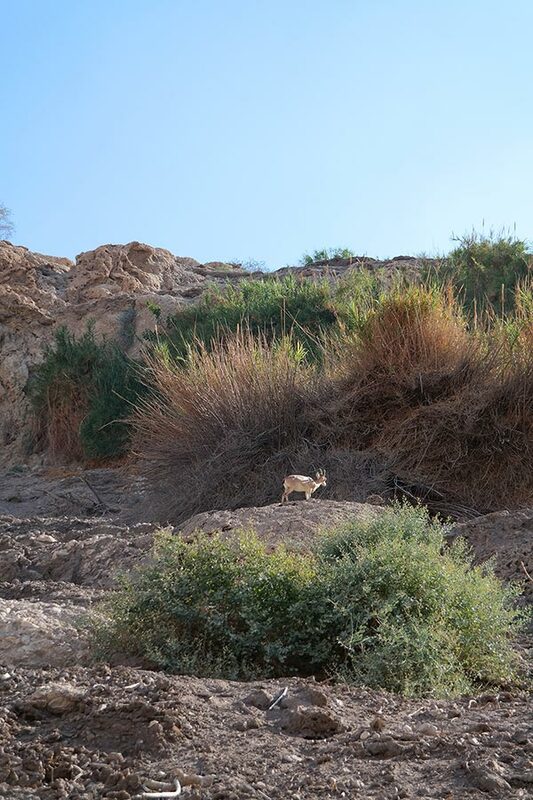 There was no trace of David or King Saul on that June afternoon, but we did encounter herds of wild ibex, traversing the near-vertical canyon walls surrounding us. 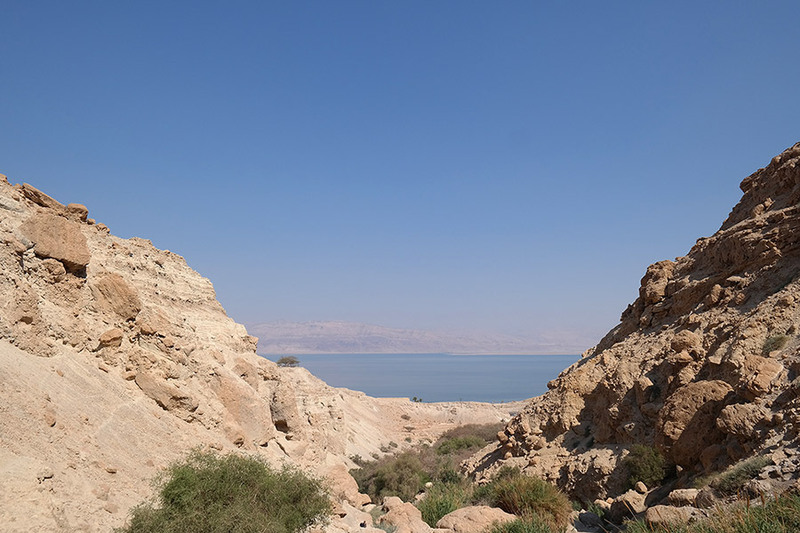 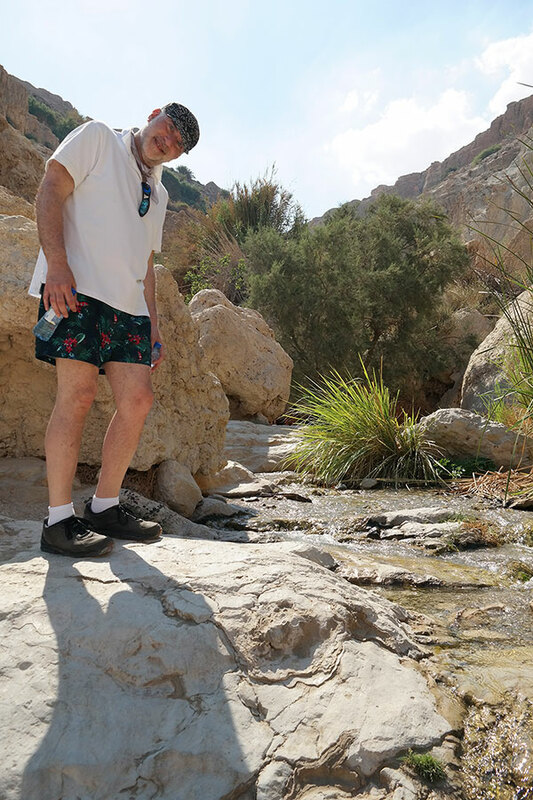 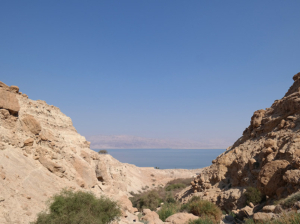 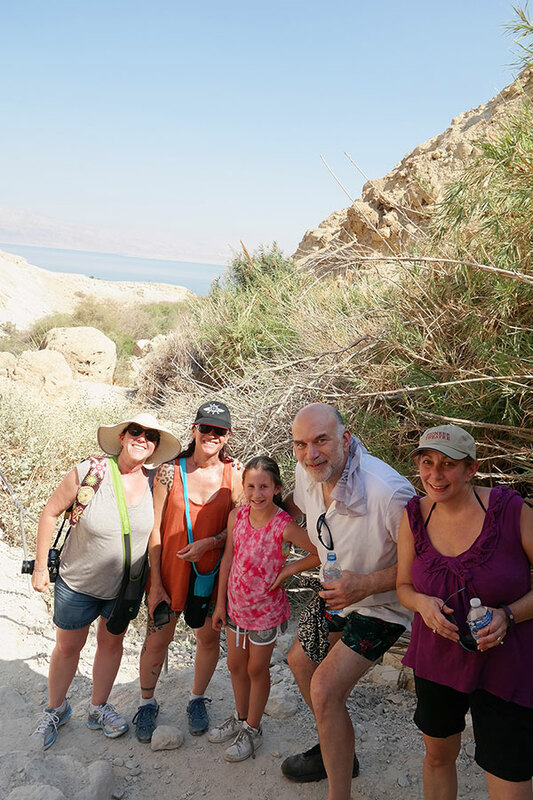 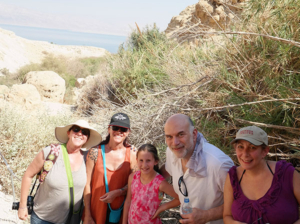 In hundred-degree desert heat, we followed the Nahal David trail, crossing several small cascades and limestone pools fed by underground springs. 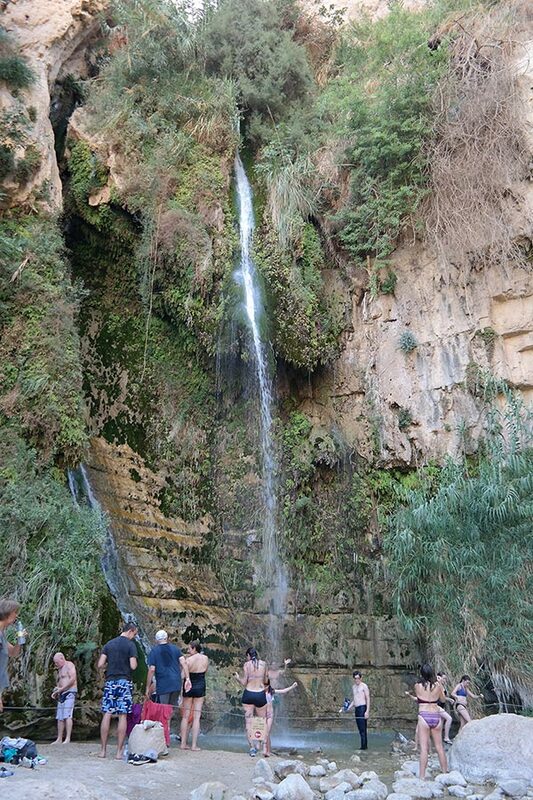 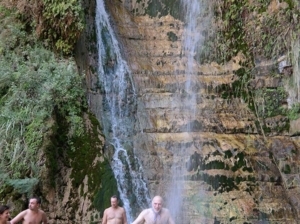 After 20 minutes of uphill climbing, we reached the 82-foot high Shulamit Waterfall. 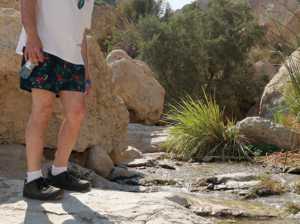 Thankfully, this was not a desert mirage. 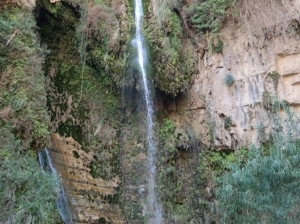 A welcome reprieve from the feverish air temperatures, my fellow hikers eagerly removed their sweaty socks, shoes, and clothes and made a mad dash for the cold deluge pouring down from the cliffs above. 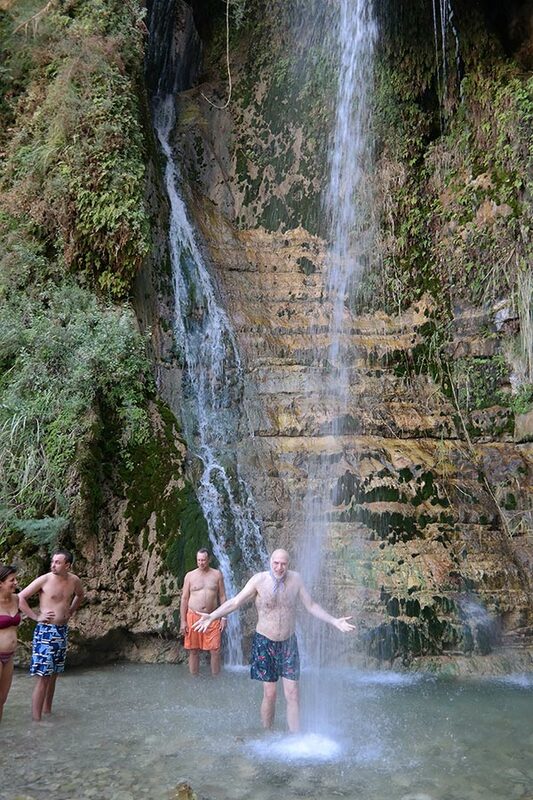 Needless to say, it was a joyous moment for all.